Unique solar lantern with warm white copper LEDs and a contemporary mesh shade. 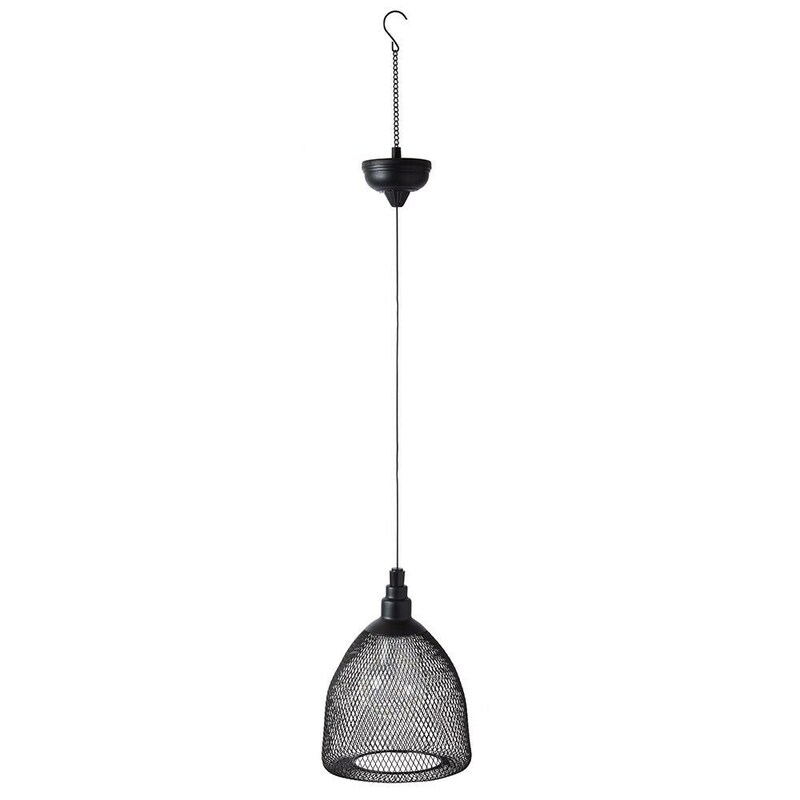 Ideal for hanging from trellis, parasols, border crooks and hanging hooks. An easy way to enjoy outdoor light with no mains wiring or candle flames. The lamp charges in direct sunlight and auto illuminates at night, providing 6+ hours of light with each full charge.